Click Here to download your free copy of the eBook. Search engine optimization changed drastically in 2013, rendering many SEO techniques obsolete. If you’re serious about your online success in 2014, you need to take a broader approach to optimization. Content and social media play a vital role in how well your site ranks in the search results, thanks to semantic search, but these are far from the only factors involved in search rankings. Google’s ever changing algorithms are more complex than ever and business owners need to consider all areas of optimization from on page keywords and backlinks to offering mobile friendly pages and apps. 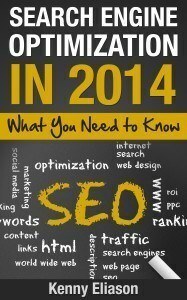 Learn more about how to ensure your site ranks well in Search Engine Marketing in 2014: What You Need to Know.